If you are looking for experience in the Real Estate field, Skye is your guy. Skye is one of our most productive agents, with years of record sales one after another. He has many, many transactions involving, Residential, Commercial, Farm & Ranch, Land, and New Construction. 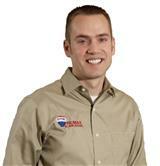 He is more than capable of answering any questions you might have regarding the Home Buying or Home Selling Process.